Create a more functional space in the home by finishing the basement not only adds to the living space of the household, but also adds to the value of the property itself. A finished basement can be a convenient study, work, entertainment or guest room, because of its relative privacy and seclusion from the other parts of the home. There are many ways to finish a basement and make it more lively, inviting and warm. It can be done by changing the floor tiles, adding more furniture, redesigning the space itself and managing the temperature, to name a few. 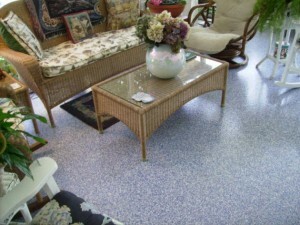 Carpets, tiles, wood panels and plain concrete are some of the more common basement flooring materials. While choosing the right flooring material is indeed important for the overall feel and finish of the basement, there is something more important underneath it: the basement sub-flooring. Today there are several ready-made sub-flooring tiles available on the market. Some are easy to install and can be done by the home owners themselves. These are called all-in-one, roll-out basement sub-floor materials. They already consist of the sub-floor which acts as a barrier against moisture, the intervening layers of plywood or other materials in between, and the top floor finish that usually consists of wood or at the very least a wood-like finish. Roll-out tiles are easy to install, because as the name suggests the product simply rolls-out unto the existing basement finishing making installation incredibly easy and quick. However, there are also more complicated sub-flooring products out there that must be installed by the manufacturer itself due to both proprietary reasons and the complicated installation procedures. These ready-made sub-floor tiles assure professional quality sub-flooring that will last longer and prevent moisture and dampness from seeping into the basement. This makes the room warmer and the air quality better, and it works to prevent the formation of moss and molds that can pose potential hazards to health. However, it is important to keep in mind the local weather and conditions in considering both flooring and sub-flooring. For example, for obvious reasons, carpets and wood panels should not be used in areas that experience floods. Let’s face it, humans are creatures of comfort. Adding more furniture will make the basement more comfortable, inviting and functional. Turn it into a game room or a convenient guest room. It is also suggested that unnecessary beams and posts are taken out to widen the space and to integrate the necessary posts into the overall design of the room. This goes hand in hand with adding more windows and increasing the amount of light in the basement. This will also help make it cozier and livable. It will further help to open up the space even more and improve ventilation. Opening up and organizing the space is also important even for people who choose to use their basement as a storage facility because it will be able to provide more room for more things while still using the same physical space.